As marketers (or aspiring marketers), we have it pretty darn good. Why is that? Because marketers, by our very nature, are accustomed to sharing information, insights, tips and best practices. In fact, sharing (and publishing) knowledge is one of the things we love most about our job. What can you do if you don’t yet have a body of knowledge to share? You follow and read the marketing thought leaders. Learn from the best, while getting a sense for how they share their knowledge. One day, you may find your likeness etched into the Mount Rushmore of Marketing thought leaders. Let’s highlight ten blogs that every B2B marketer should read. 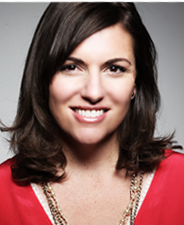 Amy Porterfield is a social media strategist who helps clients “maximize the power of social media and increase the success of their online marketing efforts.” Amy provides actionable tips on social media engagement. She’s a great storyteller, as well – just read through the About page on her site. As marketers, it’s quite easy to take our email opt-in list for granted. Source 1,000 new opt-ins last week? Great. We just completed a white paper yesterday, so we’re going to email all 1,000 of them, with “hot off the presses” in the subject line. Instead, Porterfield encourages marketers to give email subscribers great value over time and make sure your messages resonate with them: in other words, treat them like gold. Your email subscribers should be valued on par with your customers. In fact, many of your customers are already on your email list. Wouldn’t it be bad if they opted out? While my schedule doesn’t always sync up, I like to set aside some time on Friday’s to catch the latest “Whiteboard Friday” from Rand Fishkin, Moz’s CEO and Co-Founder. Fishkin always has timely and interesting things to share – and the depth of his content is always impressive. As just one measure of content effectiveness, take a look at the number of Comments he receives (61 comments in the selected post above). I’ve been a reader of Marketing Profs for quite some time. I read the book Content Rules, which Ann co-authored with C.C. Chapman. I’ve also attended a number of Marketing Profs webinars and online events. My selected post is not from Marketing Profs, though. On her personal blog, Ann provides an org chart for the content marketing team. Some organizations have a single person allocated to content, while others may have teams of hundreds. It’s not the numbers that are important here, it’s the roles and personas that Ann outlines. Did you see a role here that’s not filled on your team? Think about filling it. Things I look forward to each day: the sun rising. And Seth Godin’s daily blog post. I’ve enjoyed a number of Seth’s books. On his blog, he takes a different approach. Each post is short and succinct. They deliver a key insight, or they make you think (or both). This one made me think. My takeaway is: good is no longer good enough. Our marketing, along with the products we’re marketing, need to be great. Jay Baer is founder of Convince & Convert, who “help you get better at social media and content marketing through audits, strategic planning and ongoing advice and counsel” (source: http://www.convinceandconvert.com/about-us/). I’m not a big fan of myths: after all, if something’s a myth, I shouldn’t pay attention to it, right? Except that I should, when peers, colleagues or industry contacts believe in such myths. I may need to dispel a myth in order to gain budget or project approval. KISSmetrics provides web analytics software. Each blog post they publish is so rich in detail, I almost feel guilty getting it for free. Their blog content covers a fairly wide range of topics (i.e. more than analytics and testing). Because I need to allocate a fair amount of time to read and digest their content, I usually save pieces for later (i.e. outside of the work day), when I have dedicated time to read them in full. Sometimes, content curation can be as big a task as writing original content. This post features a broad and comprehensive set of SEO resources. I may need to allocate an entire weekend for this one. I’ve been reading Paul’s blog ever since I worked with him (a number of years ago). Paul has published a number of books, consults with brands and speaks and writes frequently. When assembling a presentation, I often need to find interesting and relevant statistics to include. Sometimes it can be very challenging to find them! If I was doing a presentation on customer experience (or, the related field of Customer Experience Management), Paul’s post would be my go-to source for related stats. Brian Solis is a best-selling author and principal analyst at Altimeter Group. If you’re in B2C, you probably know about the technology and social media habits of teens. If you’re in B2B, your knowledge of teens may related to the ones in your household. I’m in B2B and don’t have a teen at home, so I found this post fascinating. Today’s teens will be your target customer in a few years. It’s best to understand them now. Jeremiah Owyang is Chief Catalyst (and founder) at Crowd Companies. Formerly, Jeremiah was a research analyst at Altimeter Group. I read Jeremiah’s blog for a big picture view of things coming down the road. 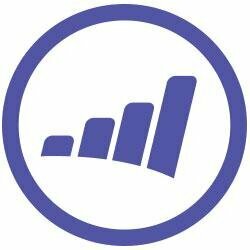 Marketo is a leading provider of marketing software. Nearly every week, I learn something new about Marketing via their blog. Whoever proclaimed “email is dead” must not have been a marketer. For demand and lead generation, email is still an important tool in our arsenal. And I think a lot of marketers still struggle with things like subscription management and deliverability. Read this post from Marketo co-founder Jon Miller and your email management will be the better for it. We’ve assembled an infographic of these ten extraordinary thought leaders. Enjoy! This entry was posted on Friday, October 25th, 2013 at 5:05 AM and is filed under Marketing. You can follow any responses to this entry through the RSS 2.0 feed. You can leave a response, or trackback from your own site.